Is a Fee-Only Financial Advisor Best for You? Let’s say you go see a financial advisor and get some recommendations to buy mutual funds or insurance through that advisor. Most people would take them at face value and assume they’re getting good advice. Why not? Why would someone with the professional title of “advisor” not give you the best recommendations for you? In other words, why would they not give you real advice? Because that particular advisor may not be an actual advisor. They may be a paid salesperson who receives commissions to sell you products. So you may not be getting real advice at all, despite the title. Welcome to Wall Street and the financial industry. Sadly, financial advice should come with a warning label that says BUYER BEWARE. But it does not, and so millions of Americans overpay for products or get sold investments that are not in their best interests. In fact, a 2015 White House Task Force estimated that this “conflicted advice” costs everyday investors over $17 billion every year. Given that most people already don’t have enough saved for retirement, this conflicted advice is clearly a situation best avoided. And you can; there are real financial advisors out there as well as these commission-based advisors. But how do you find them? With fees: Similar to how you would pay an accountant, tax preparer, or attorney, they provide advice for a specific fee. With commissions: These “advisors” don’t charge a fee, but instead get paid a commission. The problem is, you don’t pay them; the product company does, so they don’t technically work for you. Some combination of the two: Fees for some services, but commissions for others (usually insurance). Of these, only the fee-only advisor has no conflicts of interest from accepting income from other sources. These advisors have no reason to push a more expensive proprietary mutual fund. That doesn’t benefit them. Nor do they have any reason to sell you a complex insurance product with high fees. They simply make money giving you the best advice. Fee-only advisors are also required to act as your legal fiduciary. That means that by law, they have to put your interests first. If they don’t, you have legal recourse. With commission-based advisors, there is no such requirement. They can legally put their interests in front of yours. In other words, they can sell you something that costs you more, even if they profit more from it. It just has to be a “suitable” product. Of course, just because someone is fee-only doesn’t guarantee that you’ll get great advice, but at least you can usually be sure the advisor has no incentive to steer you away from your best interest. Without any ties to product companies, fee-only financial advisors are free to offer you a much wider range of solutions. Contrast this with an “advisor” who is really a product company salesperson, where you’re likely only going to get that company’s products recommended to you. Generally, the advice you get from a fee-only advisor will be more holistic simply because they can recommend any product and not just a narrow range. Asset-based fee: Commonly, fee-only advisors will charge you a fee that’s based on the amount of assets you have invested with them. These fees are usually debited out of your account every quarter, so you don’t have to write a check to pay them separately. Hourly fee: Some fee-only advisors will charge you hourly. Other fee arrangements: More recently, some advisors are working on a monthly fixed fee or retainer schedule. Please note that “fee-only” is very different from “fee-based.” Fee-based is a term the insurance and brokerage industry developed to help compete with the fee-only advisors. 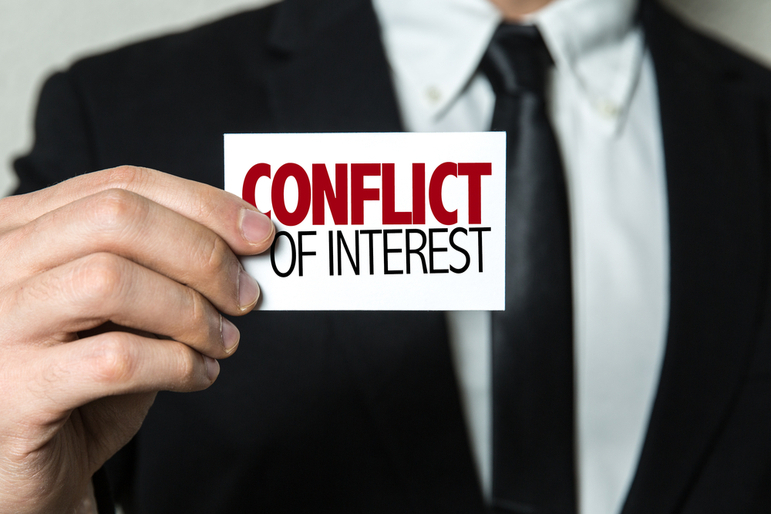 But fee-based advisors can also receive commissions, so they will always have a conflict of interest. So while the two terms may sound similar, the advisor will still always be tempted to sell you the products that make them the most money. Where Do You Find a Fee-Only Financial Advisor? The big Wall Street and insurance company brand names we all know normally are not fee-only. That’s because they are product companies. Their “advisors” are their sales force. Most fee-only advisors are going to be independent, so you won’t recognize their names. These are usually smaller, more local businesses. But since they are not part of a large public company, their loyalty is to you, their clients—not to their shareholders. It makes a big difference. Of course, no system is perfect, and there will always be some fee-based and commissioned representatives who do the right thing for clients. But do you want to have to second-guess every recommendation you get? By choosing fee-only, you will have a professional whose method of compensation is aligned with your best interests. So when looking for an advisor, you should always ask how that advisor is compensated. Then, get it in writing. For best results, only consider those who are fee-only, so you can rest assured you are getting advice, not a sales pitch. For more tips on hiring and working with a financial advisor, download our free eBook.